I was at Disney world in Orlando and was overwhelmed by the whole Beauty and the Beats area. They had the be our guest restaurant and gaston's tavern. 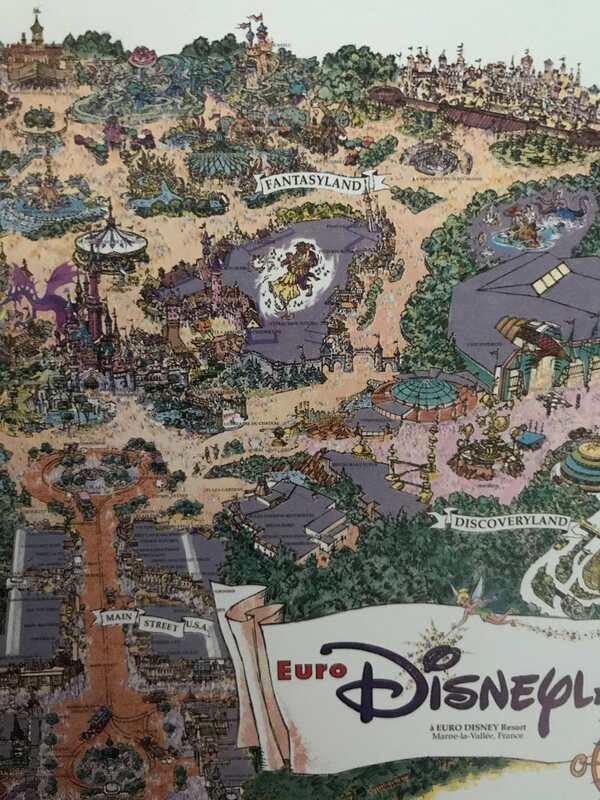 Then I bought a book with all the historical maps of all the parks and found out that the original project of DLRP had a whole "beauty and the beast" area. I wonder why it didn't happen in the end. I must admit dlrp lacks of beauty and the beast in general. How comes? That's one of their best, it won an oscar and it is probably the most romantic one they ever created. Some plans just simply fall through, no specific reason needed. Euro Disney also had plans for a TLM ride in 1992, that also didn't happen. We're 25 years later, and we don't have it. Simple. We did have a Beauty and the Beast stage show in the early years. Pretty sad indeed, no real new attraction at dlrp in years. I was a huge fan, til I saw disneyworld! That restaurant is overwhelming. True magic! That's interesting, I don't remember a Beauty and the Beast show. Where was it? Whilst I agree that plans change over the years I think that the parks location in France means that it would still be a valid and valuable addition. The movies lend themselves to seasonal extras too so could be a fluid area to the park. It is a great shame that there isn't any permanent fixture of this story. Would be a nice addition down by Ratatoui. The "Beauty and the Beast Live on Stage!" show ran from 1992 until 1996 in Videopolis. How on earth did I miss that!! Too many glowtinis!